I've been taking Ampalaya Plus supplements for the past couple of months already, and I can honestly say that it has been consistently giving me the results it promised. As a family with a history of diabetes, I need to be careful with what I eat and the lifestyle I have. It's better to start early than try to cure an existing problem later. I put the supplements I took to the test to determine if it holds true to its promise. 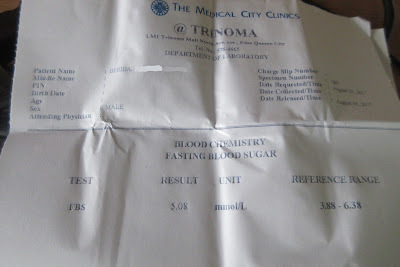 I took a blood sugar test to determine if my blood sugar was normal. I took the test May 2017, I've been taking Ampalaya Plus consistently prior to the test. Thankfully, I was in the normal range. 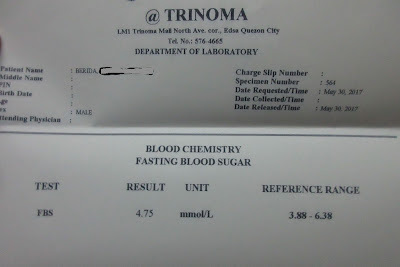 I took the blood sugar test again in August 2017, I consistently took Ampalaya Plus from the time I took the test in May until another test in August. The results were slightly higher, but still in the normal range. Other than reducing the risk of diabetes and lowering blood sugar, Ampalaya Plus has other benefits. I didn't get seriously sick during the time I started to take the supplements, which is a definite plus for someone who travels a lot. Taking supplements isn't the magic you need to be able to explore beautiful places wherever part of the world you go to. You need to balance it out with proper diet and exercise. I'm an active person whenever I get the chance to travel. I make it a point to go to parks or do some trekking/hiking. How can you enjoy views like the ones in the picture above, if you're constantly sick or sickly? You need to be consistently healthy to be able to do the things you love to do. That's why it is better to start prevention for diseases like diabetes and related ailments before you get them. 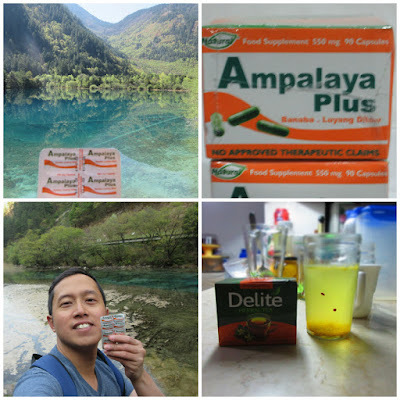 You can easily find Ampalaya Plus capsules in Mercury Drug or other major pharmacies. *DISCLAIMER: This is a sponsored post but opinions are my own.